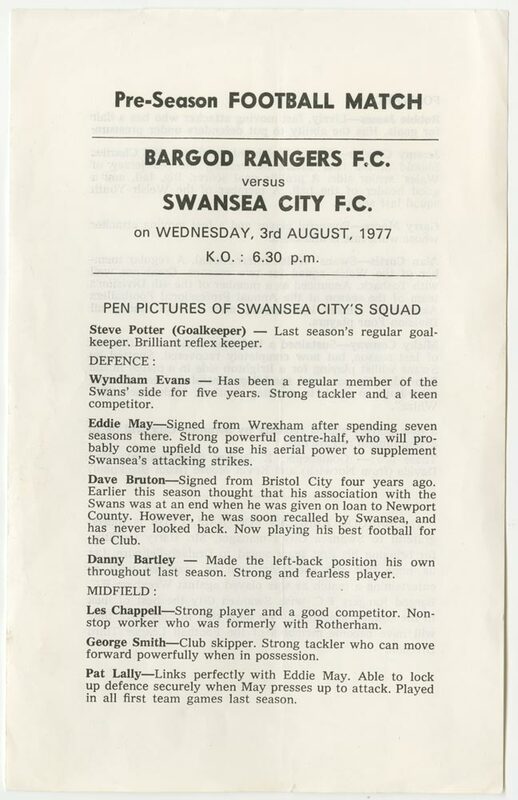 Match Programme of a pre-season friendly between Bargod Rangers and Swansea City. You are here : Home / Match Programme of a pre-season friendly between Bargod Rangers and Swansea City. 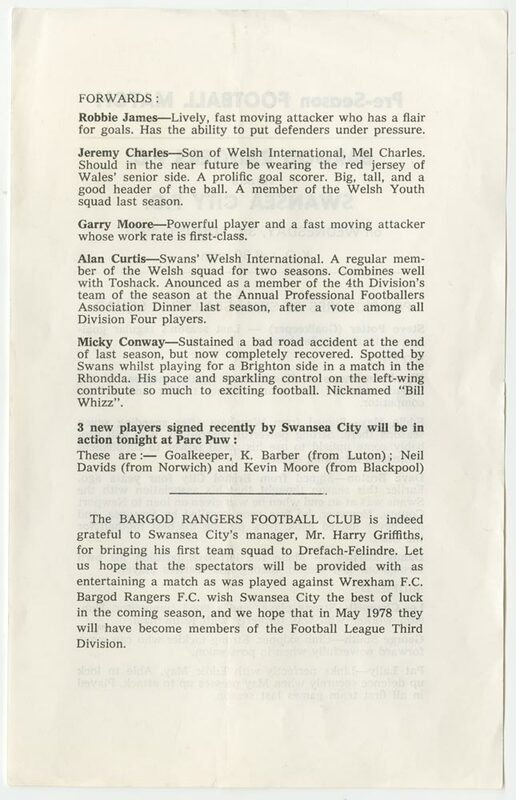 On the 3rd August 1977 Swansea City football club visited Dre-fach for a pre-season friendly to celebrate the completion of the new playing surface at Parc Puw. The club raised a considerable sum of money to improve the playing surface at the football ground.